Have you ever experienced an amazing sunset? If so, you can appreciate the vivid and colorful skyline! Why not enhance your sunset experience and hop aboard the Luxury Sunset Cruise and catch a breathtaking sunset from the open-air deck and see the Florida skyline come to life as evening sets in. 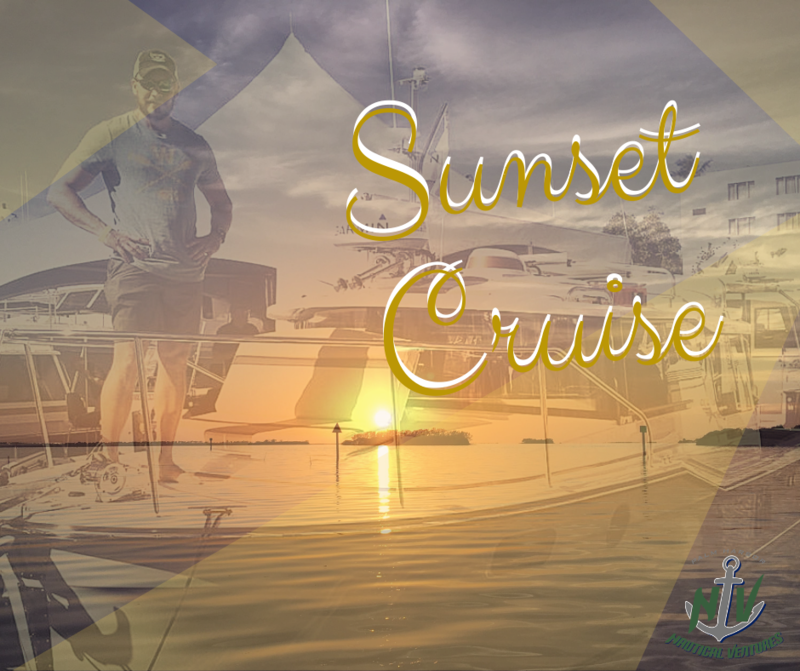 Spend a romantic evening aboard this luxury PHNV sunset cruise. All our cruises include a complimentary bottle of wine and the option to bring music to plug into our onboard speakers. The music and drinks combined with the sea breeze and salty air create a fun, festive environment for all. We will leave about an hour before sunset from our slip located in Palm Harbor, FL. Once onboard, Captain Rich will cruise out to the perfect spot for you to capture amazing views, time to relax with your loved one, take photos, and perhaps even spot some dolphins! Feel free to bring an appetizer to enhance your trip, or ask Captain Rich to arrange something extra in advance.